Superdry men's Gym Tech stretch zip hoodie. 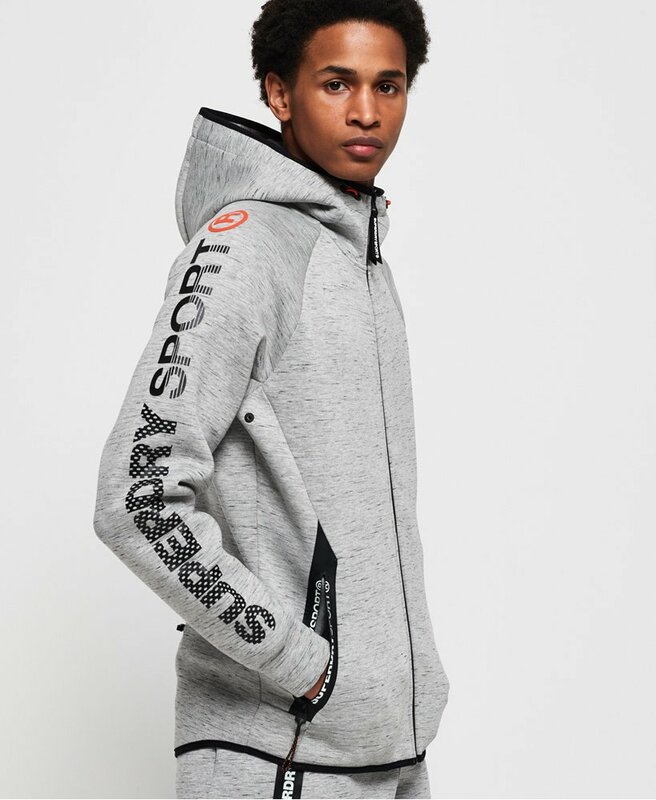 A post workout essential, this zip hoodie features a bungee cord adjustable hood, two zipped front pockets, rear zipped pocket and ventilation detailing under the arms. This hoodie has also been crafted from four way stretch fabric for your comfort and is completed with a textured logo design down one sleeve and small logo badge on the other.